Glide above the region’s rivers, parks and woodlands for a sightseeing experience unlike any other! Catch the views on a solo ride or race a friend for even more intense zipping action. 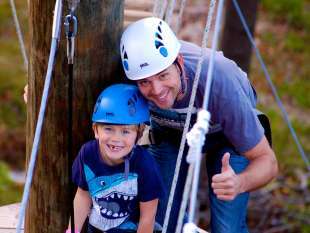 The following Pocono Mountains destinations offer zip line rides.